Pastor Darin Youngs greatest desire is to experience more of God's presence, love God's people more deeply, and reach the community with the message of forgiveness in Christ. 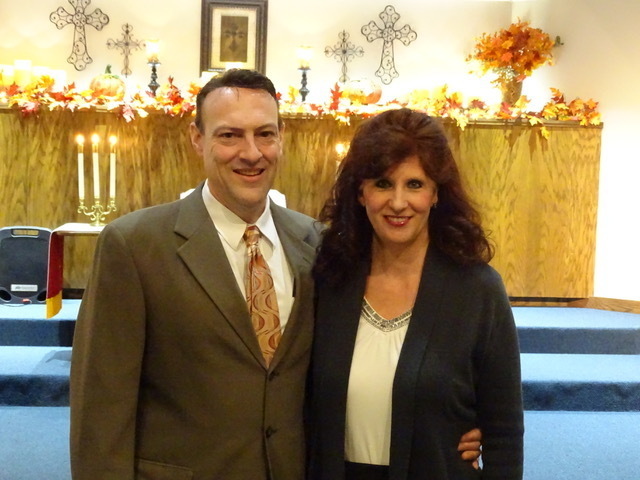 Pastor Youngs grew up in the Otsego area. He attended Otsego Public Schools, and graduated from Otsego High School. Darin is married to Patti, and has three sons. He has pastored churches in Pennsylvania, Iowa, Illinois, and Michigan. His ministry includes being a senior pastor, associate pastor working with young, evangelism & outreach, music ministry, and much more. Pastor Youngs has experience in both marriage & family counseling. He is also a chaplain in the Michigan Army National Guard, serving the 507th Engineering Battalion. Pastor Youngs holds a Bachelors in Pastoral Studies from Moody Bible Institute, a Masters of Divinity from North Park Seminary, and a Masters in Communication from Governors State University. 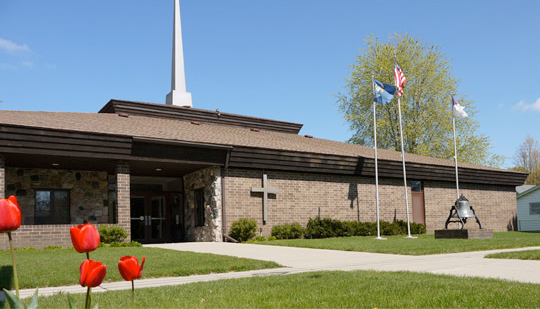 First Congregational Church of Otsego was part of Linda Boettcher Sleeman’s growing up, and her/our church continues to be a vital part of Linda’s life. Just as the church is important to Linda, so is she vital to the day-to-day and overall functions of our church. 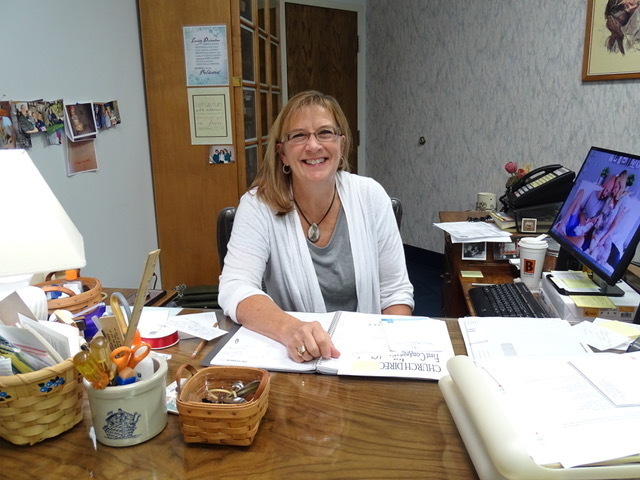 Linda assists the senior pastor as needed, coordinates church-wide activities and building usage; she composes and prints our weekly worship bulletins as well as our monthly newsletters and a host of other forms of communication. Recruiting providers of Sunday morning snacks, funeral luncheons and planning potlucks are part of Linda’s ministries. 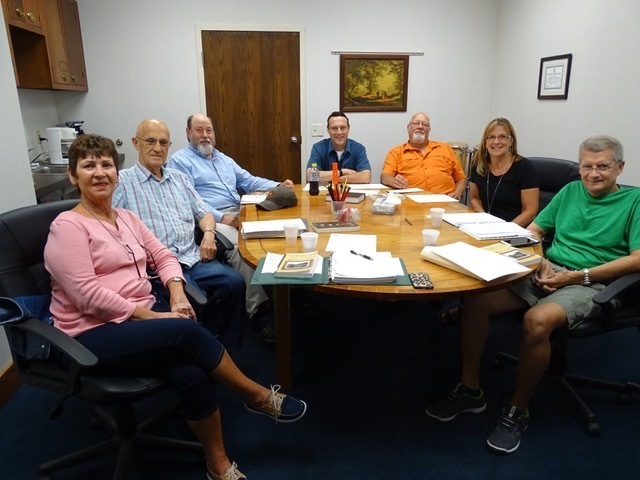 She attends and takes minutes of Leadership Council meetings, keeps track of member information and sends sermon CD’s out to those who missed a Sunday service. On and on the list could go; for twenty five years our faithful, competent Church Administrator, Linda Sleeman has been a key person in holding our/her church together and keeping us moving and growing. Linda and her husband Scott, also a key leader in our church administration, have three adult, married children: one daughter and two sons as well as three grandchildren. (Look at Linda’s computer wallpaper in the church office, if you get a chance.) In addition to their own greater family affairs, Linda and her family have always been active in educational, sports, community and civic affairs. They are a credit to our community and our church. If you don’t know Linda well, stop in to “her” office.